The Sasson Report: Am I the only older American watching his cholesterol, and his salt and sugar intake? Am I the only older American watching his cholesterol, and his salt and sugar intake? WOULD YOU EAT THIS? 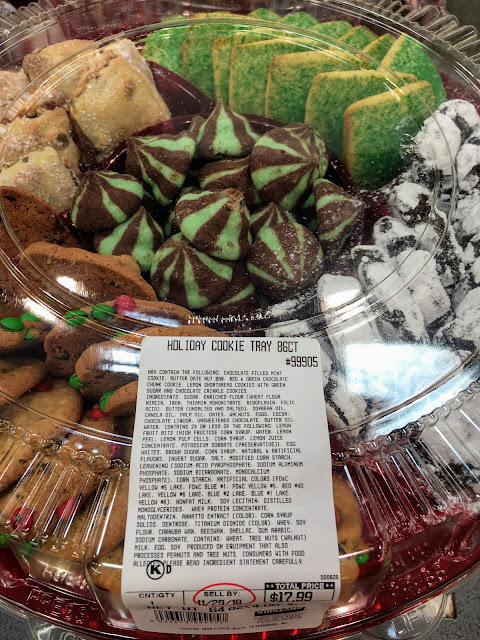 The ingredients label on these holiday cookies I saw at Costco Wholesale in Teterboro on Nov. 27 lists sugar, butter, soybean oil, canola oil, palm oil, eggs, cocoa, chocolate liquor, unsweetened chocolate, butter oil, high fructose syrup, corn syrup, brown sugar, artificial colors, beeswax, carnauba wax, shellac and gum arabic. SUGARLAND: The bakery in the Teterboro Costco does sell a pair of decent baguettes, the only reason I ever venture there. HACKENSACK, N.J. -- "Thanks, but we don't eat dessert." My wife and I say that or something similar every time a server in a fine-dining restaurant approaches our table with the dessert and coffee menu. Sugar -- whether natural or added, plus high-fructose corn syrup and other cheap sugar substitutes -- can be found in so much processed food, ranging from pasta sauces to soda to cereals to sliced bread to 100% juices. So, I certainly don't need more sugar from cookies, cakes, puddings and other desserts, including the the 67 holiday recipes from The New York Times' Cooking editors this week. Also lurking in pasta sauces and other processed food is excessive sodium, so I make my own low-sodium pasta sauce, and might add a pinch of salt to the pasta water. Excessive sodium can lead to high blood pressure and cardiovascular disease. I stopped eating meat and poultry -- but love wild-caught fish and other seafood -- and long ago stopped using butter, which is loaded with saturated fat, in favor of spreading pesto on bread or dipping my bread in extra-virgin olive oil. When we eat out, I make sure the kitchen doesn't use butter or cream in a dish I want to order, and if they can't eliminate it, I order something else. Yes. I love to eat, but from what I see in newspapers, magazines and on TV, I sometimes feel like I'm the only older American watching my cholesterol, and salt and sugar intake. 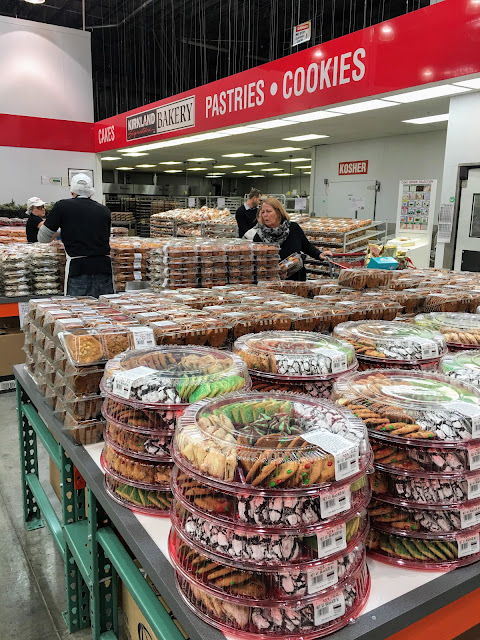 SUGAR OVERLOAD: I saw this 3 Layer Coffee Cake studded with cookies at Paris Baguette, a Korean bakery and coffee shop in Hackensack's Home Depot Shopping Center. Sugar plays a major role in heart disease, and like saturated fat, the sweet stuff can clog arteries, one reason you see so many diabetics recovering in cardiac step-down units. It's a full time job to avoid sugar by reading nutrition labels, which supply only partial information about natural and added sugar in food. Lobbyists have successfully prevented government regulators from listing the number of teaspoons of sugar in food and juices. 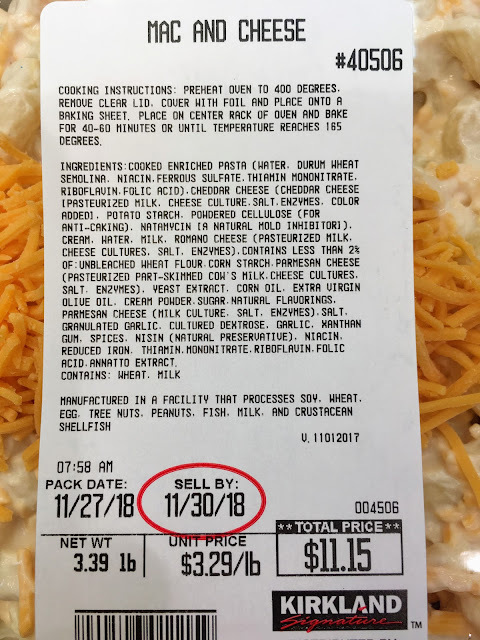 For example, the Kirkland Signature Organic Orange Juice I buy at Costco Wholesale lists 21 grams of sugar in an 8-ounce serving, but not how many teaspoons that is. A teaspoon contains roughly 4 grams of sugar -- or 5 teaspoons in an 8-ounce serving of that organic OJ. Yet, The New York Times recently devoted an entire section glorifying Thanksgiving pies, and The Record, the local daily newspaper I once read, devoted a section front and a full inside page to "New Jersey['s] Best Pies" in early November. One reason I get queasy when looking at photos of pies, cakes and other desserts loaded with sugar, butter and cream are the pastries I ate growing up in a Syrian Jewish home in Brooklyn, including baklava. For the most part, those pastries used very little butter and no cream. Honey and pistachio nuts predominated. Today, I rarely eat them. My mother put a salad on the table every night. We ate fresh, wild fish at least once a week, and on Saturday nights, she served only dairy. The editors at AARP The Magazine have come a long way from an article in the April/May 2016 issue that was headlined, "Eat This, Not That!" For example, the article listed only chain and fast-food restaurants, and recommended older Americans eat Arby's roast turkey and bacon sandwich over a roast beef and cheddar cheese sandwich, arguing the latter has fewer calories and less fat. Who in their right mind would eat either sandwich, stuffed as they are with harmful antibiotics, preservatives and cholesterol? There was no mention of fast food or chain restaurants in the August/September 2018 issue of AARP The Magazine, with Rita Moreno on the cover. An article, "What to Eat When You're 70+," was good advice for people in their 50s and 60s, too. Older Americans were urged to eat more lean meat, fish and dairy; more protein at breakfast, more brightly colored vegetables; more oily fish, olive oil and avocados; and more bran cereals. 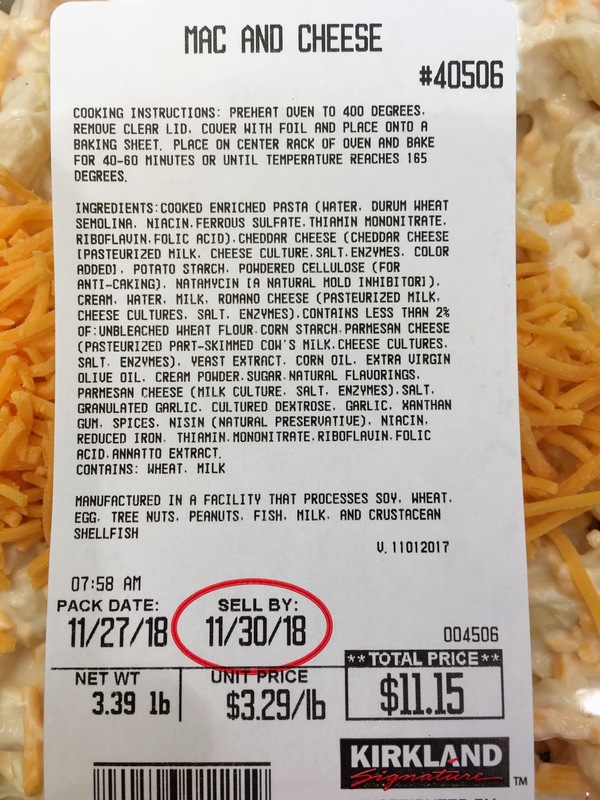 CHOLESTEROL ON SALE: On Nov. 27, Costco was offering $2 off ready to cook packages of Mac and Cheese, which contains lots of cheese, milk and some sugar, below. 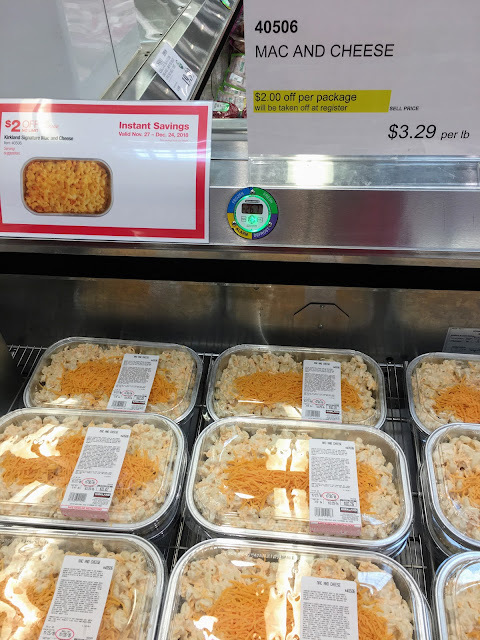 Nutrition labels on Costco's cookies and Mac and Cheese don't indicate the percentage of the recommended daily maximum of any ingredient. Thanks, but no thanks. I'll stick to organic pasta in a homemade, low-sodium red sauce.